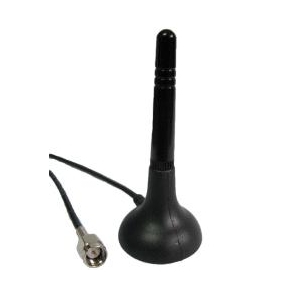 Multi-band antenna suitable for the version of compact Web PLC equipped with GPRS or HSPA radio modem. 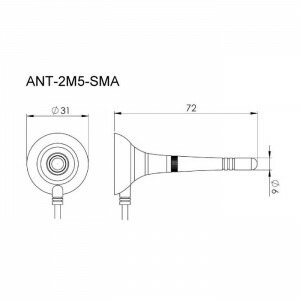 This antenna is fixed on a magnetic base with 2.5 meters of cable for the installation in remote locations respect to the PLC. Advisable in all situations where the PLC is closed in shielded metallic environment or where the field is particulary attenuated.